Despite a major controversy over instant noodles in neighbouring India with an impact on consumption patterns, sales of this fast food in Colombo have been unaffected. Some supermarkets in Colombo confirmed that sales were unaffected, as health authorities this week declared as safe for human consumption, the samples of noodles tested for lead, a heavy metal. The lead level in instant noodle samples including the brand Maggi Noodles produced by Nestle Lanka, were tested by the Industrial Technology Institute (ITI) and it did not exceeded 0.3mg/kg, the health authorities announced this week. 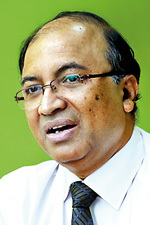 The Food Advisory Committee (FAC) which met in emergency session under the chairmanship of the Director-General of Health Services, Dr. Palitha Mahipala, on Wednesday to discuss the ITI findings has laid down four conditions applicable to all brands of instant noodles on the market shelves in Sri Lanka. Suspending the advertising and promotion of instant noodles until the situation clears completely, the FAC has instructed that any imported noodles should be subjected to tests for the heavy metals of lead, mercury, arsenic and cadmium before being released into the market. The FAC has also decided that all manufacturers having instant noodles in the market should submit samples from all batches for lead-testing and that this should be ensured by officers who implement the Food Act across the country. The proviso is that if any samples are found to have lead levels higher than 0.3mg/kg, those stocks should be taken off the shelves immediately. 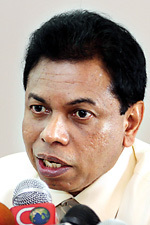 At the FAC meeting held with the participation of such institutions as the Consumer Affairs Authority (CAA), the Sri Lanka Standards Institution and the National Poisons and Toxicological Centre, it had been disclosed that instant noodles being sold in Sri Lanka were not imported from India or any other country. All the ingredients in instant noodles, apart from MSG, are produced in Sri Lanka. The report on the samples of instant noodles sent abroad for testing by the CAA had also been tabled at the FAC meeting. Meanwhile, in an interview with the Sunday Times the Health Ministry’s Deputy Director of Environmental and Occupational Health, Dr. H.D.B. Herath, who oversees the Food Control Unit, said that surveillance at the harbour had been tightened, as soon as India banned Maggi Noodles, to prevent contaminated noodles from entering Sri Lanka. Usually when deciding on permissible levels for any substance, Sri Lanka follows the CODEX Guidelines which are universally acceptable, while also taking into account standards in the United States of America, the European Union and Australia, he added. 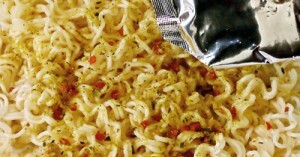 When asked in an e-mail interview, Nestle Sri Lanka said that Maggi Noodles were locally produced at its factory at Pannala in Kurunegala, “where we follow all the food laws and regulations applicable to Sri Lanka”.According to the company the sachets that are included in the packets of instant noodles are also produced in Sri Lanka and the details of the ingredients are declared on the packaging.